Public companies have a deadline closing in fast, December 15, 2017. However, private and nonprofit companies have an extended deadline of December 15, 2018, which gives them a little more time to adjust. A deadline for such a large project requires serious planning, risk mitigation, and resources. 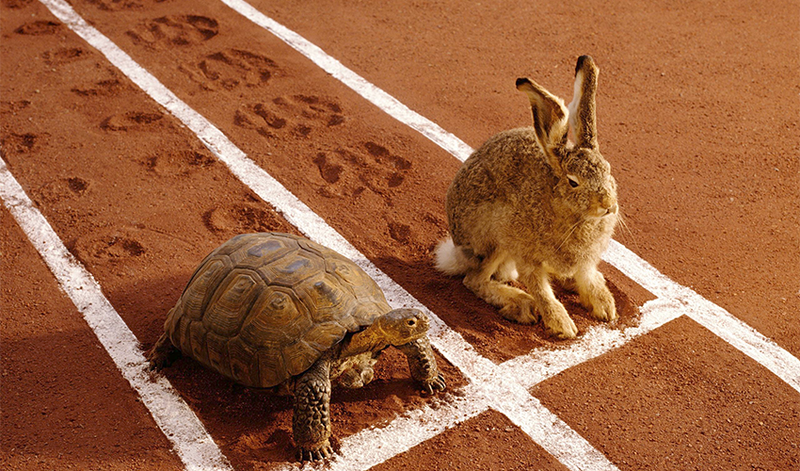 What is your Plan A, and more importantly if you are lagging behind, what is your Plan B? Risk mitigation is vital and having a back-up plan is a large part of that mitigation. 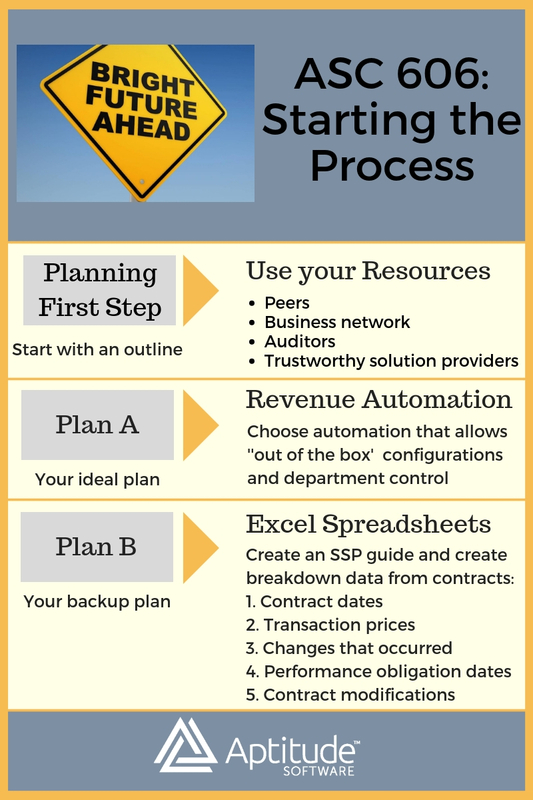 But how do you even begin the process of ASC 606 revenue recognition implementation? We interviewed 24 Hour Fitness, Deloitte, CFGI, and Houghton Mifflin Harcourt about their processes for implementing revenue automation. According to Deloitte & Touche LLP executives attending the 2017 Institute of Management Accountants Annual Conference, the impact of the new regulations has been underestimated by most industries. Even for companies who do not deal with revenue timing issues, adjustments may still need to be made. U.S. Big Four banks recently discovered their need for impact assessment despite their initial take that they were unaffected. At RevConnect 2017, RevStream’s annual revenue recognition conference, Kristine Stebbins, VP of Accounting at 24 Hour Fitness, shared that her first thought on reading of the impending changes, was that of denial. Her initial assessment, "We are a gym, everything is pretty straight forward" was quickly reversed. Faced with the need to find a solution, the internal pressures of an inefficient, older system, and the external pressure of ASC 606, Stebbins began a process of discovery towards a solution. Disclosure requirements and cost capitalization could trigger adjustments in financial and reporting systems and companies need to prepare for this. Deloitte partner Derek Bradfield sees companies moving rapidly toward assessment and then utilizing solutions for revenue recognition without consideration for the wider implications. Stebbins says her first step was to focus on her department and map out revenue scenarios, evaluating each revenue stream with current GAAP and what that would look like under ASC 606. Every aspect needed to be analyzed, not just contracts. Second, she recommends getting auditors involved right away. Their advice will be important. Third, make an assessment of your current system. With added requirements, can your current system provide the reports needed? This is where a conversation with your IT department is vital to “get a sense of urgency”, Stebbins said. Fourth, she recommends you discuss your revenue changes with other departments who use your data. Is there a report that is important to them? Is there a wishlist of information that you can now provide? Finally, if you still feel unsure, Stebbins found help by partnering with an external analyst. "It is easy to be paralyzed because it is such a big change...start with an outline." At RevConnect 2017, Robert Keep spoke of his experience as a financial consultant and the impending impact of ASC 606. Keep, a partner at CFGI, acknowledged it is very easy to be paralyzed in the decision-making process. He suggests to "start with an outline" and to use those around you as resources: peer groups, auditors, “solution providers” you trust. Many companies are seeing ASC 606 as a catalyst for process change however, time may have run out for process improvement. Have an ideal Plan A, which could be a revenue management system implementation. However, also mitigate risk with a Plan B, “perhaps Excel spreadsheets”. Keep suggests starting with the basics in Excel, possibly creating a stand-alone pricing guideline. Then, break down contracts into data that you need for the new guidelines: contract dates, transaction prices, changes that occurred, and performance obligation dates. Also, decide how you are going to manage contract modifications. Implementation of new software takes time and as we know, many public firms may have missed the deadline for that. Go with what you can to reach compliance and then re-assess the process. With a deadline for compliance fast approaching for all organizations, the time constraint is resulting in the use of stop gap measures. Measures such as manual spreadsheets can be quickly put together to hold data. Excel may struggle, depending on the volume of data. You can use a couple of tips to make your spreadsheets run faster but this again, is a stop gap measure. Spreadsheet data management will buy consideration and consultation time, but also leaves companies open to the inherent risk of inefficient and inaccurate systems. With a deadline date, your first move is compliance, and your second move can be department innovation. Use ASC 606 as the catalyst you need to get a better system into your budget. Lessons learned from other organizations is helpful as a starting point. Perhaps the stop gap measure of spreadsheets is the Plan A for now. What then is the long term plan with time running out? Private companies and nonprofits, who have an extended 12-month deadline, may still be considering their approach. Read widely about early adopters and their approach and find similarities. Andy Nickerson, Accounting Manager at Houghton Mifflin Harcourt, started his process toward revenue automation early, using ASC 606 as a catalyst to automate the work. HMH specializes in pre-K to 12 educational products, content, and services. With 16,000 SKUs, many unique revenue streams, and multi-element arrangements, he needed to make a change. “Bundles and bundles, within bundles,” Nickerson recalled, "Excel just runs a long time when you start running that through a model." Nickerson needed a solution before the added pressure of ASC 606 hit his department. The decision was made early on to use the modified retrospective transition approach. Implementing automation software really helped with this decision. RevStream enables HMH to run both ASC 606 and 605/985 accounts in a dual book situation. A simple menu selection enables Nickerson to view reports under either regulation. Nickerson also realized when first looking at ASC 606 that he had to make changes to the way revenue was assessed, and this impacted other departments in the company. HMH had organized revenue by program, but with the new regulations he needed to recognize by contract. This goes back to the wider implications of any solution and how a change in accounting and finance can affect the organization as a whole. ASC 606 will likely affect the company as a whole, from data collection to invoicing to report generation. A holistic approach is helpful and input from other departments is essential. Things do go wrong. Implementation may take longer, rules change, spreadsheet errors occur, and old software may just not be cutting it anymore. Once you open your systems up to analysis, the process of discovery is also a process of uncovering. It is human nature to put off making big decisions and perhaps this is playing a part in the late adoption by many. KPMG's survey on early adoption of ASC 606 regulations discovered that just two percent of those surveyed had adopted regulations early. No matter what your intention is, just be sure to have an immediate plan, and then a good long term solution that mitigates your revenue recognition risk. Learn more about how revenue automation with RevStream can empower you. Join our weekly product demo and see RevStream in action!